Look who came to see us recently…. Anyhoooo, we are off to the Shopping Centre today (at least we are when they all drag themselves out off bed) to see Santa himself and get the annual Christmas Photo, love seeing how the kids have grown since last years photo. 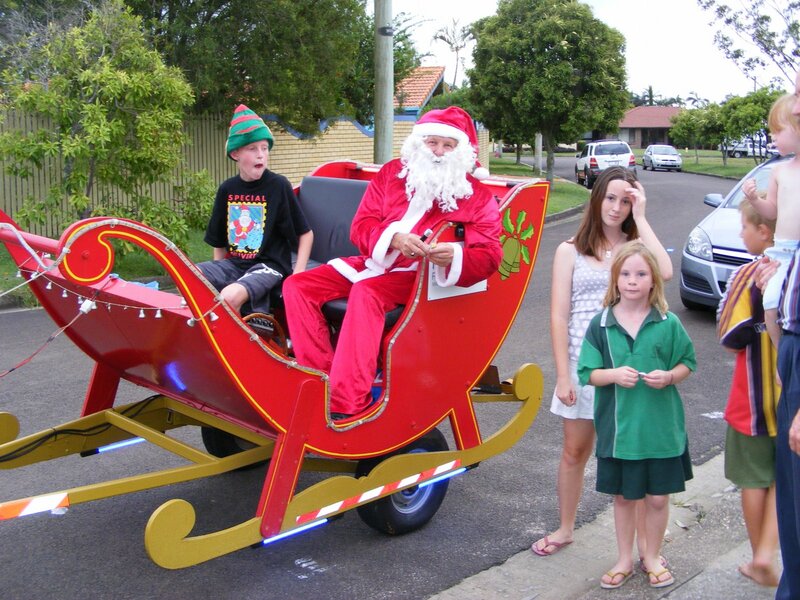 This entry was posted on December 20, 2008 at 10:21 pm and is filed under Santa, Sleigh Ride, Xmas. You can follow any responses to this entry through the RSS 2.0 feed. You can leave a response, or trackback from your own site.